Ticks vary in color, shapes, and sizes by species. Adult ticks can be smaller than a sesame seed making them easy to miss. 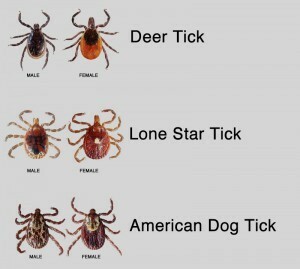 The most common Long Island ticks are Deer (or Blacklegged), Lone Star, and the American Dog Ticks. Tick extermination may be necessary at the first sign of ticks because an infestation could cause medical symptoms from the diseases or fluids transmitted by these insects. Control and extermination of ticks is best left to professionals because of the diseases they carry. Also, the most effective pesticides are not available to non-professionals. The most common way ticks enter a home is on household pets that spend time both outdoor and indoors. Another common way is on people. Ticks hide in low brush and on trees, giving them easy access to a host. A person leaning on a tree or walking through high grass is the quickest way to acquire ticks. Once a tick finds a host (you or your pet), it will attach itself and burrow into exposed skin. The ticks mouthparts used to burrow are barbed making them securely attached to their host. The tick will also secrete neurotoxins in their saliva that prevents the host from feeling the pain or irritation of the bite. Lyme Disease is the most common tick-born disease in the Northern Hemisphere, with New York having some of the highest confirmed cases in the United States. While Lyme Disease is preventable and treatable in most cases, it is a dangerous disease with severe symptoms. Early Symptoms: Fever, headache, and fatigue. 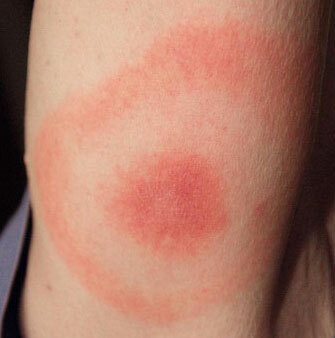 Rash will occur in around 80% of infected persons. Dangers: Left untreated, the symptoms will reach the joints, heart, and central nervous system. The staggering statistics about ticks and the diseases they carry make it more important to seek professional help when looking to exterminate them. Tick extermination from Pest Pro Exterminating will ensure that your home, family, and pets are safe from these invasive little critters. Don’t wait until it is too late! Once the ticks have burrowed and passed bacteria, you will need to spend time, energy, and money in restoring your, your family’s, and your pet’s health and safety. Contact Pest Pro Exterminating today!